It’s a new year. Why not start it off with a new “U”? The retail version of Wii Fit U for Wii U hits stores today, just in time to help people get started on their New Year’s resolutions to be more active and get fit. But Wii Fit U doesn’t require heavy equipment or expensive gym memberships. 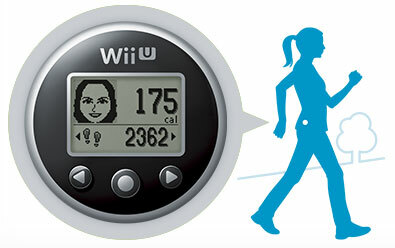 With Wii Fit U, users can get active by navigating a luge course, spraying a water hose, bouncing on a giant trampoline and even grabbing the new Fit Meter to continue their workouts on the go. Fitness doesn’t get any more fun than this. This entry was posted on Friday, January 10th, 2014 at 11:46 am and is filed under Everyone, National News, New Releases, Sports. You can follow any responses to this entry through the RSS 2.0 feed. You can leave a response, or trackback from your own site.